IBMS exists to assist patients and their travel associates in making informed choices for their international health care needs. IBMS certified members are Physicians, Surgeons, Dentists, Other Healthcare Professionals, and Centers of Healthcare Excellence with established and long-term professional standards of patient care. 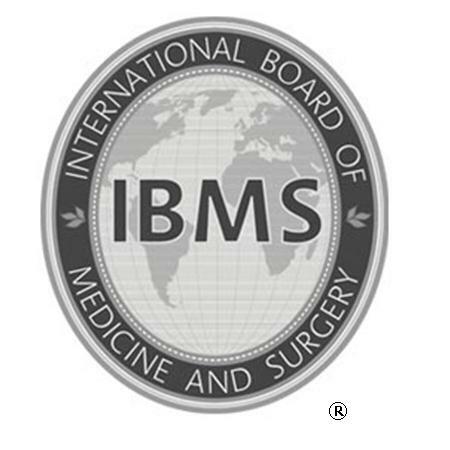 The International Board of Medicine and Surgery (IBMS) certifies Physicians, Surgeons, Dentists, Other Healthcare Professionals, and Centers of Healthcare Excellence with documentation of national licensure and specialty certification, compliance with standards of international medical evaluation/treatment, and pledge to abide by a Code of Professional Medical Ethics, and maintains the IBMS Professional Online Web Registry. David P. Kalin, MD, MPH, is the Chairman of IBMS. Dr. Kalin has a Masters of Science in Public Health, a background in Emergency Medicine, is a Fellow of the American Academy of Family Physicians, and is also Board Certified in Family Practice and as an Independent Medical Examiner. Since 2002, IBMS, Dr. Kalin and the IBMS Global Medical Advisory Board have reviewed the qualifications of Physicians, Surgeons, and Dentists and Centers of Healthcare Excellence (Hospitals/Clinics) in Mexico, Colombia, Costa Rica, Venezuela, India, Israel, Thailand, South Korea, South Africa, USA and other countries throughout the world. Through extensive interviews he and his colleagues have investigated medical and health-related opportunities and forged international relationships. During 2002, after personal frustrations with the cost and approach to healthcare in the United States, Dr. Kalin and his wife sought other options. They traveled to South Korea where their fourth child was successfully fertilized in vitro. This experience inspired Dr. Kalin to organize IBMS as a professional registry of certified Physicians, Surgeons, Dentists, Other Healthcare Professionals, and Centers of Healthcare Excellence whose qualifications have been reviewed.